Www.mindshackles.co.uk is “documenting depression through words and photographs”. This is a project I agreed to take part in on meeting Iesha Small at #PedagooLondon in March2013. One of her other volunteers is a member of my PLN and throughTwitter. Apparently, even now 7 months later I am the first male volunteer, which although it does not surprise me does sadden me slightly. What does it involve? Well read the website for yourself. This morning for our first meeting we chatted and Iesha took some pictures. I look forward to the link when it is ready. Interested in Mental health matters, take a look for yourself. Do you tweet about Solo taxonomy? If you read my blogposts there is a higher chance of that being true. This week. While classroom displays were posted on the #solo hashtags ’twas realised that lovely and simple as this tag is, it has many other interpretations for twitter users. In light of this I have (impertinent maybe) to use #solotaxonomy that does not attract the same variation in interpretation and subject matter. Irfan alternative that is easier is found please share so that the practice of #solotaxonomy globally presents a friendly face to new colleagues and possibly pupils too. Last week as I was waiting for the start of #TLT13 at Southampton University I received a tweet from my friend and colleague @ICTMagic that @i2ipartnership had requested an Introduction to Solo Taxonomy presentation for their Teachmeet #TMSurrey on Thursday 24/10/13. I retweeted his message knowing that Surrey would be too far to travel on a Thursday with a full teaching day on Friday. But no response. So, on Sunday I tweeted. @i2ipartnership and offered a video with VoiceOver. I had already posted some ideas on introducing Solo taxonomy using drama for @HelanVictoria. I was due to go out to visit family and had 20 minutes to spare. The link at the beginning of this post was the outcome a quick film made on my phone with my son as cameraman in one take. I prepared the resources beforehand and nicknamed it a Garden Shed Production – watching the clip will explain. Traffic noise was a bit much, but I was pleased with the outcome. Wanting to check if it got the message across I sent it to some of my PLN including Pam Hook (@arti_choke) and Sonya Van Schaijik (@vanschaijik) in New Zealand, two great advocates and in Pam’s case author of Solo texts. Thursday night I tracked the teachmeet on twitter and the clip seemed to go down well. Today I shared with my fellow #sologlobalchat host Alice Leung (@aliceleung) in Sydney Australia. So, for a small amount of effort I have been lucky enough to share my ideas even on the other side of the globe. Today, a new video again for @ICTMagic and #ukedchat #Teachtweet (my 3rd entry) for next Thursday. A different approach so that I could practice my iMovie skills. Intrigued (probably not-lol) but will be shown on 31.10.13 – mirroring the calmer side of my character. Have you made videos to get ideas across? Well I slept sat upright,lying down was too scary I would havebeen in full curl up in a ball mindset. I am fighting it but flight is so attractive. Stand in front of my classes today ? Can I? Will I just fold into a heap?Tbh right now bursting into tears more likely. Laying my soul open is a hard therapy but one that I need to. I do not want to internalise the mood, one way to keep pushing it away and staying on the up side of the line. It was such a good day… Meetings with the Headteacher linked to my training TLR role and sharing findings but the straight fact I have so many ideas to share but I need a Good or better observation consistently – why because I and observations are inconsistent,nerves and self doubt plague me. T and L AHT looks through what I am doing — look out if trying to run before can walk idea for some of my ideas,collect student responses to support that solo is as good for them as I perceive. Will visit after half term and so on… Really positive. Pm lessons fail to ignite -respond to class response to materials but what is happening?? Staff training on progress – will assessments attend of first unit support me – judging by start of evening marking, what am I doing wrong?? Why the heck would I post this because I need help from my PLN. I love my job, I love the camaraderie through events where I present and listen yet where it matters ….aaarghhhhhhhh. I am awake, I am low and I do not want to feel this way but right now I am questioning whether I am kidding you all. Start – tell the staff what they are seeing or presentation piece with no title and garner feedback at the end? A personal choice for Helan I feel. Open performance space possibly in the round so idea of mind and self reflection. Intro. Max Bygraves -I wanna tell you a story (showing my age contemporary reference may fit audience better). 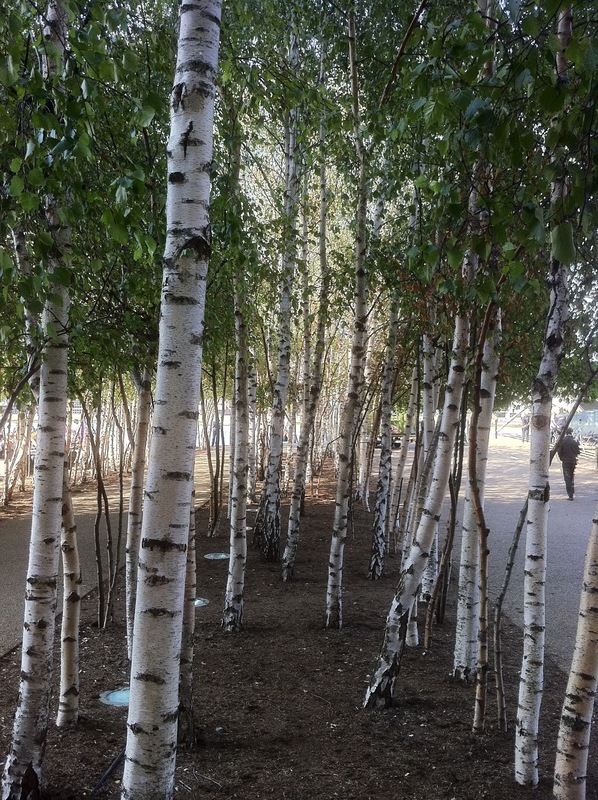 Learner walking through forest of trees (@DavidERogers see I was listening at the back,Sir – #TLT13 workshop 4). Out jumps / appears our first fact. State fact – turns away from audience – tabard/ unistructural symbol and name on their back starts line of quantitative facts. Walk continues through forest, fact accompanies but walks separately from learner. Gradually other facts appear and join our merry band / group. Reach a clearing in the trees. Learner stands encircled by facts – introduce multi structural idea or do run through as a drama piece and give characters names to audience afterwards. Now the move from quantitative to qualitative and facts to thought processes. For some reason – fact dependent or characters start to pair or link facts together into circles holding hands or dance in right hand star for example demonstrating a linking – use any subject for context, in fact do one subject: then challenge depts to make up own plays for their subject’s possible use. Now relational demonstrated – not sure on how to play extended abstract – possibly concept of taking drama piece from one subject and apply to others. Ok my brain has stormed – what do you think out there ??? 9 hours ago I received a tweet from @HelanVictoria – also addressed to @arti_choke and therein lies the first compliment. …”any tips on delivering #solotaxonomy at #teachmeet in 3 or 7 minutes?! #help”. My first response – of course and offered own solo presentations in. Keynote (iPad),PowerPoint or PDF format to cannibalise as needed. Then the reply- a non tech presentation,a pause and the memories of #TMEssex November 2012 and 3 gents assisting my tech presentation ( Vic Goddard [apparently well known], Phill Crossley [ my HoD] and James Abela [now working in the Far East]. Helan’s enthusiastic response engenders my feelings about Solo ie. “awesome!!! Thanks for your help. Think it’s a great thing for me to share with staff! My initial response had been on. My return / break in journey from #TLT13 where I had commented to several fellow tweeps that Solo seemed to be “out there” much more than even 12 months ago. So long Saturday – sleep in, no wide awake at 06:30 but stay in bed to tweet and Helan is up on twitter at 7ish and so the conversation continues. Then Sonya Vanschaijik from New Zealand starts to post to – I love this global net I belong to. Ok ramble / intro over this represents my free form brainstorming to demonstrate Solo to a teaching staff in a non techy way. Comment, disagree, like, add to to, edit, delete – all actions and response welcomed. Fab, fab, fab thoroughly worth 246 mile round trip and 18 hour day blog posts to follow. Earlier this year I posted several times about my mental health. It was cathartic for me and colleagues who read the posts realised this once they had read the words and not just reacted to the idea of blogging about such personal experiences. Well we are into October and the school year has started fairly well. I am being proactive, I continue to take my meds which for me provide (or at least appear to provide) a cushion to soak up some of life’s bumps and scrapes. I went through assessment with my local Trust and am currently 5/ 6weeks through a series of classes on Stress and Mood Management. I have had 2 of 4 1:1 sessions where I have chosen a focus (sleep patterns) and my registration has come though for the 8 week online Beating the Blues course which I have done previously as an ongoing support system. Life is still throwing me the occasional curve balls but true to in-work agreement when I hit a dip last week I was able to communicate this to my line managers – I was not off, I got through it, but the awareness was there in case. My earlier post today talks of a term where energy is flagging but looking at how much is being done it is not surprising. I am pleased that my mental health’s stability (relatively) means that I feel that I am fulfilling my part both at home and in work and I am not being a burden to others – it’s a self esteem thing. I look forward to utilising my support systems and being there for friends and colleagues if they need support to. This post is as much an acknowledgement that I need to keep managing my mental health, I have great support and I feel that by being open hopefully I can help in my own small way to reduce some of the stigma surrounding mental health in the workplace.